Trusted by millions of user & Marked us as expert in data recovery. Providing data recovery services for all type of storage media. Featuring transparent data recovery service procedure. Lost Data, Back In Your Hands! Data recovery is a concern significant amongst users because of the growing importance of data. Data for a home based user holds importance on personal level meanwhile, the same data holds business related importance for a corporate user. Therefore, it becomes a necessity to bring back lost or corrupt data into a usable and healthy state for regaining its access and gain business continuity. 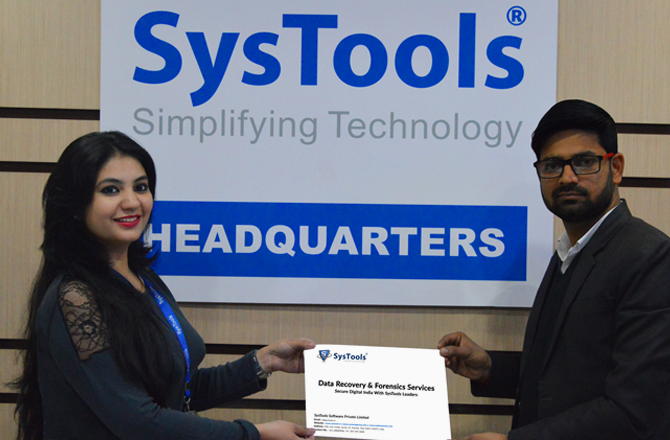 SysTools emerges as a trustworthy company in the industry of data recovery by introducing transparency in the procedure. By transparency, we mean to serve you with the best in class data recovery services without the walls of business. What Cause Data to Damage? The ultimate solution to this is Data Recovery. We further help you by doing it for you with the help of our proficient data recovery services. All you have to do is submit your data storage media at our center and wait for us to get back to you. All issues listed above and others result in data corruption. Data Recovery is the ultimate solution for the same. You can drop in right at our Data Recovery center, located on the 5th floor of City Center Mall straight across Dwarka Sector 12 Metro station. Being situated right across the Metro Station, we welcome the data recovery needs from all over Delhi and not just Dwarka. We also service data recovery for Karol Bagh users, Nehru Place, Connaught Place, and other regions of New Delhi. Come visit us with your corrupted hard disk, SSD, Server, RAID, Email data, and more to experience the best in class data recovery service by our experts. Trustworthiness is guaranteed because we provide you result yielding service. Time Management is taken care of by doing the data recovery on your behalf. Cost Effective Service ensures that recovery doesn’t get heavy on your pocket. Data Security is guaranteed during recovery against scenarios of loss. 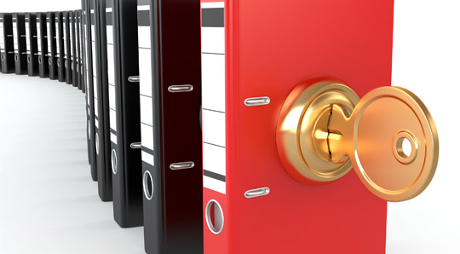 Confidentiality of data is ensured throughout the recovery service and afterwards. Come visit us to see the storage examination along with an overview of recovery, sitting exactly next to the recovery expert. Is there a possibility to recover deleted data from external drive? Yes, there is a great scope of recovering lost data from an external hard disk, as long as you did not worsen its condition by repeated usage or implementing recovery workarounds on your own. You need to submit the hard disk for analysis before the possibility of recovering data from it is disclosed. Simply submit your damaged Hard drive to our data recovery company and leave the rest of responsibility on us. How much will be the charges for recovering a 512 GB of data? 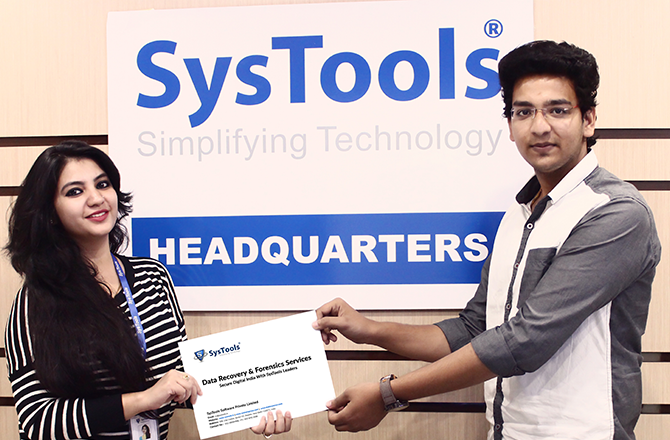 The charges of our SysTools Data Recovery Service is based on the intensity of corruption. Greater the corruption, higher the charges will be. Therefore, submit your brother’s hard drive for examination to find out to what level is it damaged and accordingly how much will be charged for recovering data from it. We are datarecovery company so our primary target is provide low cost data recovery services. Can I pay charges of the recovery service through my Paytm account? We are data recovery company not a shop, so We provide multiple payment modes, fortunately all of which support digitization. You can pay for the data recovery service through Online Banking (Mobile Banking) using NEFT, online transaction using your debit / credit card, or prefer Paytm as well as per your suitability. Does your service feature recovery of data after complete Mac clean up? Before an assumption is made, examination of the drive and scope of recovery needs to be studied by the experts. Please bring your disk to our recovery center and submit it for examination. You can sit through the process and know the issues, scope, and recovery process. My drive was protected with BitLocker. Is the data still recoverable? Yes, it is very much possible to recover lost or corrupt data from BitLocker protected partitions. We ensure that the recovered data will be provided in an unprotected form for ease of accessibility. 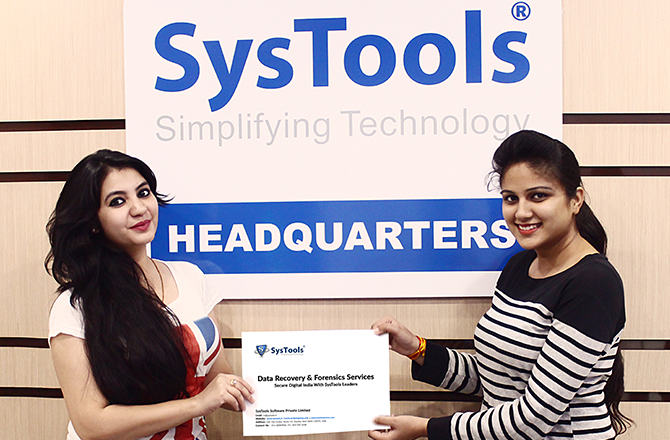 Simply submit your damage hard drive to systools data recovery company and get back all locked data. My concern for data recovery of my 1 TB external hard disk was resolved in no time. I am thankful to the whole data recovery service team for showing great concern towards the confidentiality of my data throughout the service and yielding successful results too. I liked most the no data recovery no service charge policy. When I reached the company, I was able to get an overview of my disk which was corrupted. I was clearly shown the areas of corruption and the issue that may have occurred. Thankfully, all my data was recovered and given back to me in the provided time slot, Marked as best data recovery services provider company in delhi! I am surprised by the way these people work. There is so much transparency in their procedure. I was able to sit through half of the recovery session. However, due to lack of time, i had to leave. There was no compromise made with the data or its recovery. I am satisfied with the best data recovery service provided by the experts. 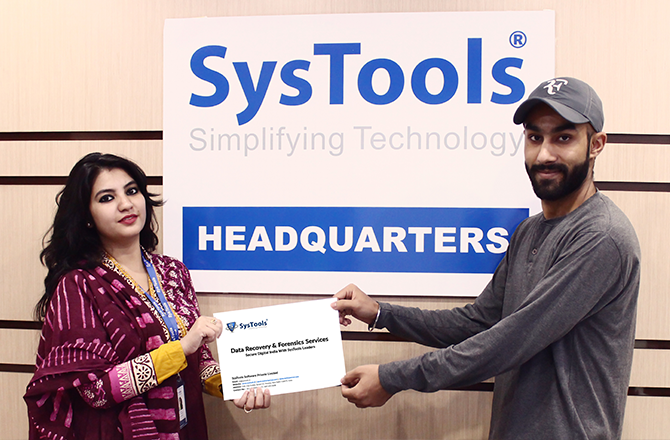 Thankful to team SysTools for dedicatedly working on my data recovery requirements without any compromise made with my data’s confidentiality. I was made sure that everything will be recovered and they fulfilled their claims. The data recovery service cost is not beyond a normal user, Go and just avail the service!